Christmas means many things to many people. Office parties, family reunions, and church socials add to the holiday cheer. Of course if we attend those events, we should contribute something. So we bake. We shop. We decorate. And we practice for cantatas, plays, and concerts. As though we don’t have enough to do in our everyday lives, we have to have Christmas to end the year. We run. We wrap. We orchestrate. With all these activities, it’s hard to distinguish holiday cheer from holiday stress. But wait. There is a greater reason for the season that has little to do with all the hoopla. We know it. We just have trouble holding on to it and making it a part of our lives. This book, The Reason for the Season, with devotions that focus on Jesus, His ministry, and His commission, encourages you to put Christ back in Christmas. Each devotion concludes with joy-restoring suggestions. 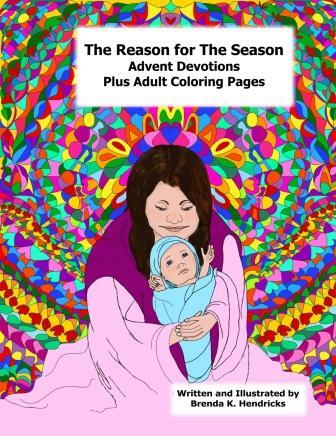 The 33 adult coloring pages were designed to sooth the weary soul, relieve the stress of this very special season. 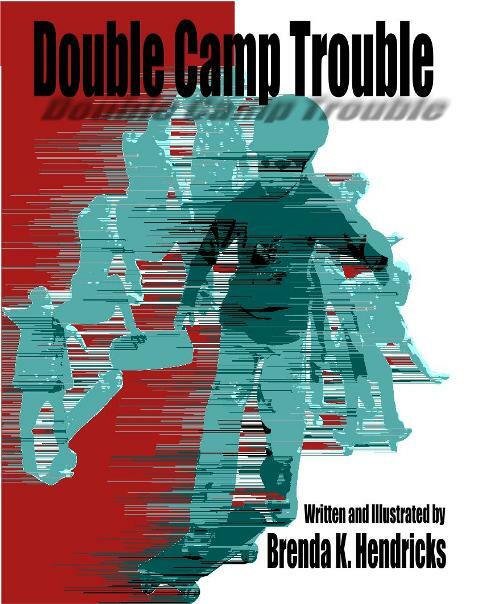 Fifteen-year-old Ray Nuestrong volunteers as a junior camp counselor at Camp Turnabout Creek just so he can defend his skateboard championship title one last time. He figures between helping kids with crafts, nature walks, and talent show practices, he’ll have plenty of time at the skate park. However, from the moment Kelsey and Kayla Brenner, tornados in twin little-girl suits, arrive accidents happen. But they aren’t the only distractions Ray faces. Pretty Amy Baxter, Ray’s toughest skateboard competitor, blurs Ray’s focus. Meanwhile Carl Wertz, aka Frog, attempts to convince Ray that Amy and the twins are conspiring against him to keep him from practicing his skateboard routine. With a rubber chicken, a fake tarantula, and a jar of honey, will Frog lure Ray back to playing the prankster he had been as a camper? The hustle and bustle of the holidays leaves even children feeling drained. We lose sight of the real reason for the celebration. Much More to Christmas draws the reader back to the event of Jesus’ birth, His purpose, and His triumph, restoring the joy of the season. 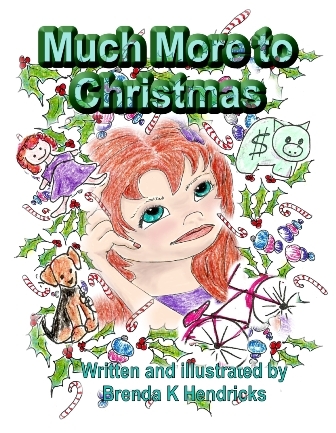 This delightful book searches the heart of the child for the true meaning of Christmas through poetry and beautiful colors. The delightful pace and rhyme is sure to please children ages 3 to 8. Written on the beginning readers’ level, this 32-page book is bound to become one of your child’s favorite Christmas treasures. WHAT’S THE BUZZ, BUMBLY BEE? Flying high is Bumbly Bee’s favorite thing to do until he hears the latest neighborhood buzz. Bumblebee wings are too small to carry their heavy bodies. Will his friends’ comments ground him for life? Or will he answer “What’s the buzz?” with a stronger trust in God? 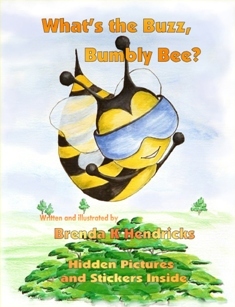 What’s the Buzz, Bumbly Bee is chocked full of more than bright colors and an entertaining story for children in preschool through first grade. Written on the beginning readers’ level, this 32-page book includes a hidden bees on every page. 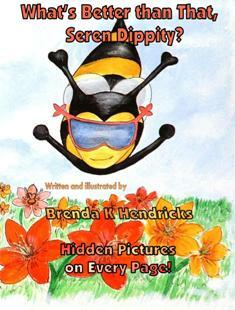 Available in Paperback and E-book Format at What’s the Buzz, Bumbly Bee? WHAT’S BETTER THAN THAT, SEREN DIPPITY? Every plump-with-pollen daylily in the field belongs to Seren Dippity. What’s better than that? But she’s not sharing. Will she learn to stop stinging and scaring and start singing and sharing before she loses all her friends? The second “bee book”combines brilliantly colored illustrations with hidden pictures on each page to develop observation skills in children ages three to six. This 32-page book makes learning fun while teaching the principle of kindness to others. Available in Paperback Format at What’s Better than That, Seren Dippity?